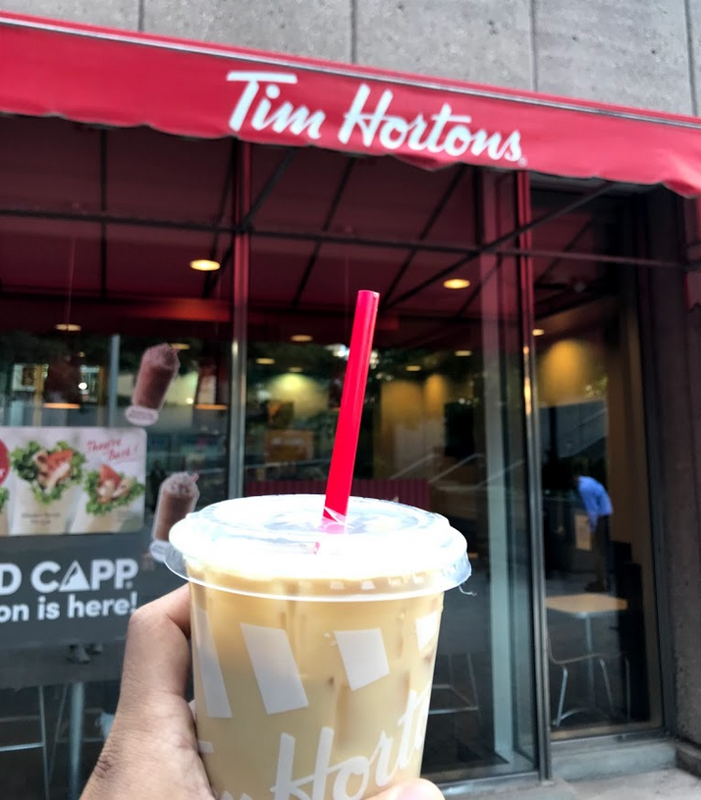 Toronto, Canada — Before moving to Europe from Asia, I decided to take a quick detour to Canada. Although I lived in New York City for a while, I never visited Canada, and this was my chance. With Toronto’s perfect weather in early June, I saw this as the perfect opportunity to visit the city. I stayed with my friends who I met in Laos, and luckily their apartment was only a 10-minute walk from Toronto BJJ. Toronto, the capital of Ontario, is a major Canadian city known for its skyscrapers and signature landmark, the CN Tower. 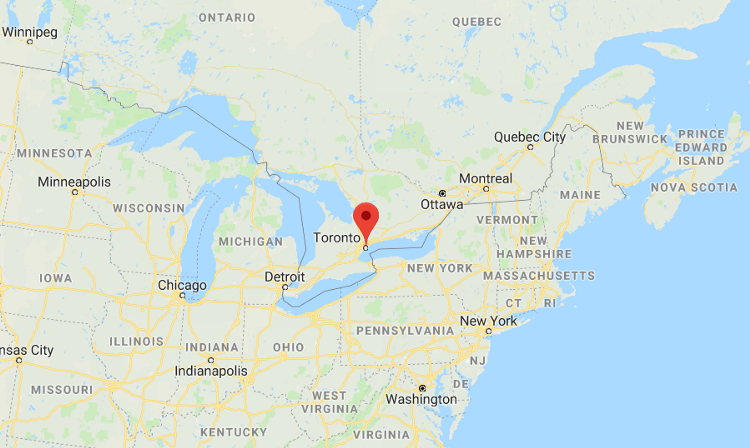 With its strategic location on the northwestern shore of Lake Ontario, Toronto is the financial and commercial center of Canada. Renowned for green spaces throughout this urban jungle, Toronto becomes lively when the weather is fine; you’ll find great restaurants and eclectic activities all around the city and waterfront. In addition, its large population of immigrants from all over the world has made Toronto one of the most multicultural cities in the world. 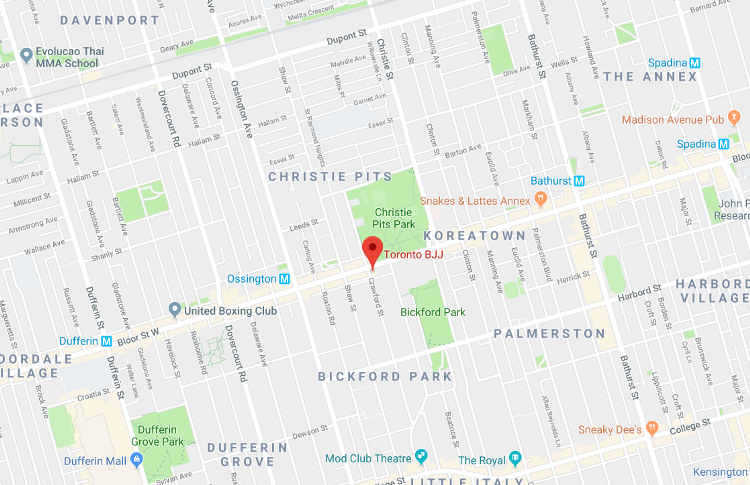 When you walk down the Bloor street in Toronto near Christie Pits Park, it is hard to miss a bright blue and gold brick building of Toronto BJJ. The building appears to be small, but don’t be deceived. Opening its doors in 2006, Toronto BJJ has over 600 students who train in one central location in Toronto. Toronto BJJ is one of Canada’s largest and finest BJJ academies. It features a spacious 4,000 sqft mat space and its Brazilian Jiu-Jitsu program is headed by Jorge Britto, a 3rd-degree black belt under Saulo Ribeiro and Vini Aieta. He is also a highly decorated competitor as an IBJJF NoGI champion and ADCC European Champion. At Toronto BJJ, the mat fee was waived as a visitor and an easy option to rent a gi from the academy was available. As a BJJ Globetrotter, I could not be more appreciative of the hospitality at Toronto BJJ. Being located in a large international city, the academy seemed very experienced in welcoming and hosting travelers from all over the world. Initially, I was worried about the possibility of losing personal touches during training since Toronto BJJ is one of the largest gyms I visited. However, my experience was different from my expectation. Students at the academy went out of their ways to make me feel welcomed and instructors did a phenomenal job of creating a cohesive gym atmosphere. During my training at Toronto BJJ, I had the opportunities to attend both beginners’ classes and advanced classes. The beginner’s classes mainly consisted of extensive and repetitive drilling of fundamentals while the advanced classes were focused on cardio and detailed techniques. Despite having a large number of students in a class, the instructors made sure to focus on individuals and provide meaningful feedback. Further, by separating beginner’s classes and advanced classes on different floors and running them simultaneously, Toronto BJJ provided students with options and flexibilities to choose classes that suit their skill sets and conditions without concerning their schedules. I believe that Toronto BJJ is a well-established academy that can help accelerate your BJJ game, and its BJJ Globetrotter friendly atmosphere makes it an ideal academy to visit if you are in Toronto. Also, the facility is attached to a cute café serving healthy snacks, and I was happy to pick up an acai bowl to fill my empty stomach after training. If you happen to be in Toronto, I would highly recommend dropping by for a session. Thank you, Toronto BJJ family (Especially, David and Nathan)! 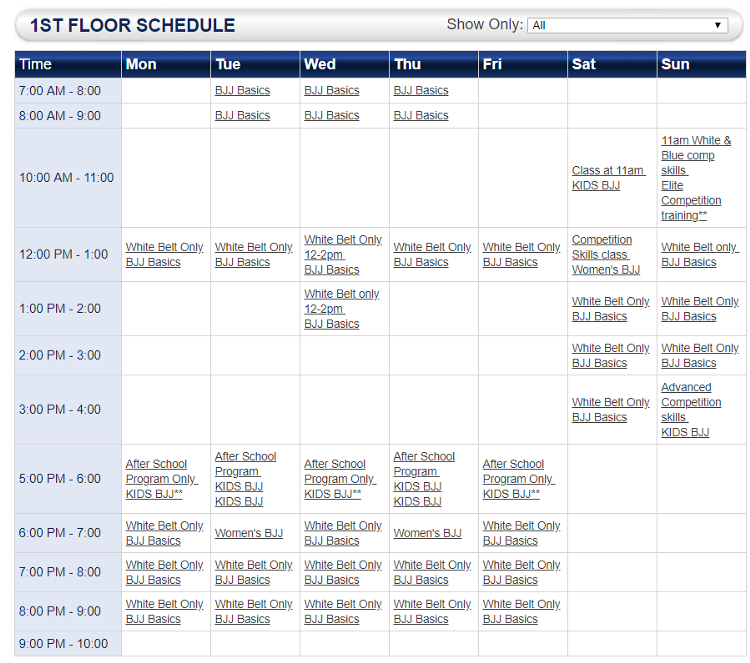 Toronto BJJ offers classes every day. 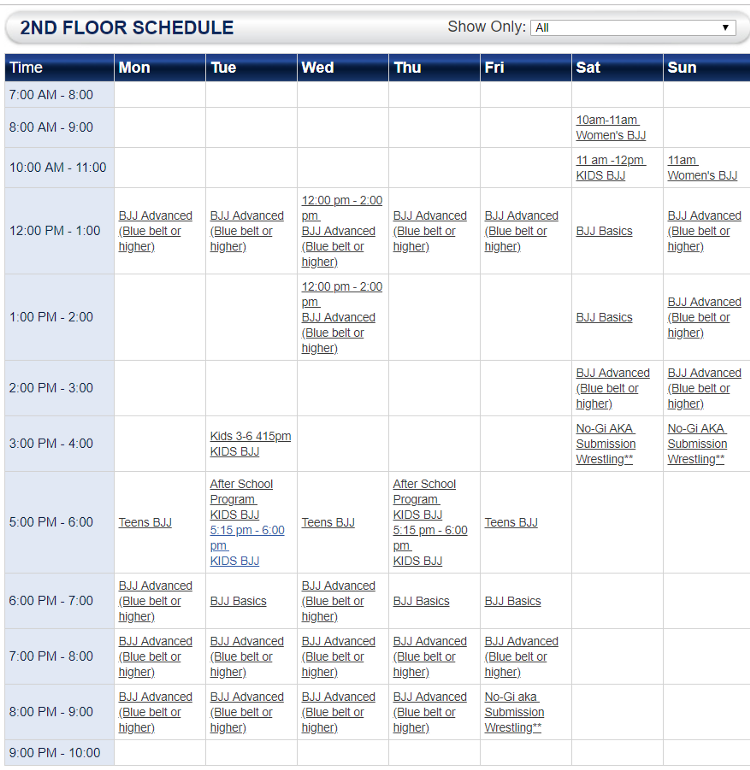 The classes on the first floor are mainly geared towards beginners while ones on the second floor are for higher belts. Toronto BJJ does not charge visitors. However, it is always courteous to reach out to the gym prior to your visit. CN Tower / Downtown — Bounded by Bloor street and Lake Ontario, Downtown Toronto is the main central business district of Toronto. The area has the largest concentration of skyscrapers in Canada featuring its iconic CN Tower. Downtown Toronto is also ripe with fantastic dining options and urban shopping experience. You could get lost all day walking around here in Toronto. 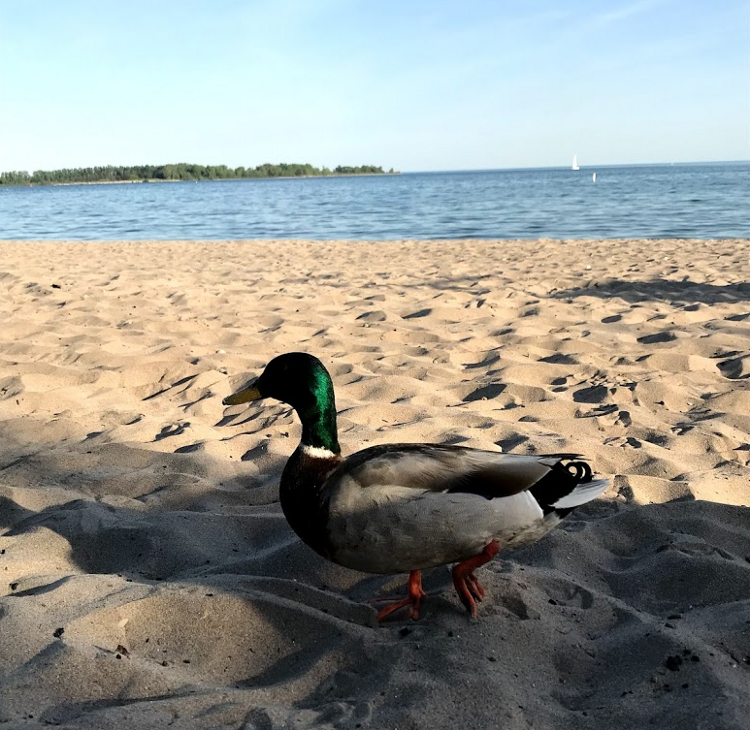 Toronto Islands — If you are looking for a break from the hustle and bustle of Toronto, you can hop on a ferry to the Toronto Islands on Lake Ontario. The three islands, Centre, Ward’s and Algonquin, offer something unique in Toronto. You can hang out at the Islands’ famous beaches or you could rent bikes to enjoy scenic bike paths around the islands. Kensington Market — This iconic district in Toronto is one of the most diverse and unique areas in the city. The bohemian neighborhood is filled with vintage boutiques and indie shops that draw artists and tourists. Parks in Toronto — From Trinity Bellwoods to High Park, Toronto provides green oases from its urban madness to everyone. More than 1500+ parks in Toronto feature beaches, playgrounds, biking trails, and artwork.